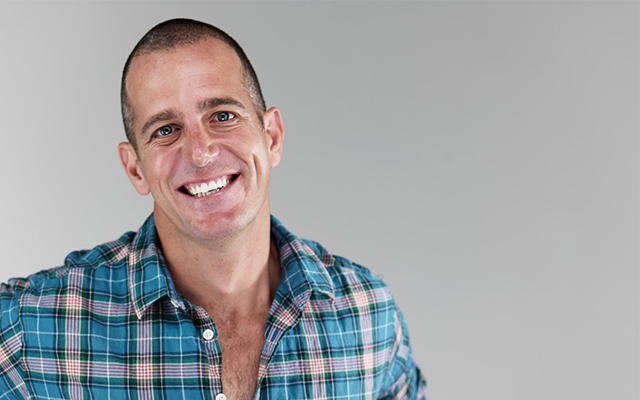 TV chef, food columnist and Aussie celebrity, Fast Ed, talks to Open Colleges about his personal experience with cancer, and how that has inspired him to become an ambassador for Dry July, a charity dedicated to helping Australians living with cancer. “By the time they reach eighty years of age, one in two Australians will have had cancer. One in two,” Ed says, adding that when he first heard of the Dry July initiative, his mother was in hospital being treated for breast cancer. “One of the first things that we noticed when we went in for her chemo is just the fact there’s no facilities there. You’d turn up for truly awful chemotherapy and there’s hard plastic seats. You can’t get a cup of coffee or a cold drink. It’s a really dehumanising experience at a time when you’d expect something a little more kind”. And that’s what Dry July does. The charity raises much needed funds for hospitals and outpatient cancer services around Australia. “Some hospitals use the funds to actually buy medical equipment. But the original idea behind it and what a lot of hospitals still use the funds for, is actually to provide those ancillary services which humanise the process of dealing with cancer,” Ed said. The Dry July initiative asks people to go booze-free for a month, collecting funds for their efforts from sponsors such as friends and family, and donating them to the charity via its website www.DryJuly.com. Those who don’t think they can go without a drink for a month can either sponsor a friend, or go onto the website and sponsor a stranger’s efforts. There’s also various other fun challenges on the site, and people can even sign up to get sponsored as a designated booze-free driver for an evening. “So in other words, you say to your friends, ‘Tonight I’m not going to drink, and instead I’m going to be your designated driver and instead of paying the taxi fare, don’t pay it to the taxi company, pay it to Dry July’,” Ed said. An added bonus of Dry July, according to Ed, is that getting off the booze for a month can have health benefits like increased energy levels, weight loss and clearer skin. Calling all Australians to get involved, Ed told Open Colleges that it’s important to support Dry July because these cancer services are not currently funded. “I think everyone assumes that someone else is paying for this already,” he said. “Don’t ask yourself, theoretically, how should cancer treatment be managed? But ask yourself in the context of your own family, how should cancer services be managed? I bet you come up with a very clear picture and it’s suddenly not a mystery at all why it would be so important to support Dry July,” he said. So what are Fast Ed’s tips for getting through the Dry July challenge? “I treat it the same way I treat getting kids to eat vegetables. Stop sweating the detail. Just make your decision and go with it. “When we just take a deep breath and say, ‘Well, I’m going give up alcohol for a month,’ and just get on with it, you suddenly stop worrying. What you’ll find is that after a couple of days, it’s no longer such a big issue”. “During a social situation where you feel about you’re being pressured to drink, say, if you’re at a cocktail party, remind yourself that the party’s over in a couple of hours. Then it’s only a couple of hours to get through”. “For those people who like to have a glass of wine at the end of a stressful day, just remember it’s actually only a forty-minute period. “When you get home from work, quarter past six, and have had a bad day and want a glass of wine just to wind down, all you need to do is go for a run from 6:30 ‘til 7:30. Or just do something else in that golden hour. You’ll find that suddenly you don’t think about it as much”. While chatting Dry July with Open Colleges, Ed also dropped a few pearls of wisdom for our students and those seeking career motivation. “I’m inspired by the idea that application of ingenuity can lead to success,” he said. “I like the idea that you don’t have to necessarily be the wealthiest player on the field in order to put in the best game. “Anyone can go and get a piece of fancy steak or some superbly brilliant bottle of wine and put it on a table, and well, there’s a great meal. 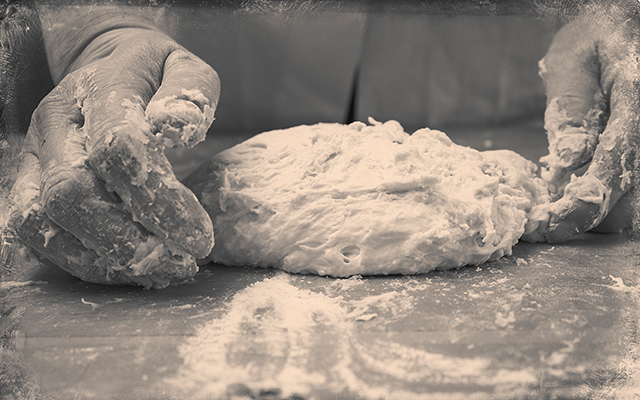 “But to make bread you take flour, water, salt, and yeast – four ingredients that fundamentally have no intrinsic value in their own right. It’s what’s created by the craft, and determination and application of the person working with them that creates something beautiful. “It’s a representation of the input by the cook. And that’s the stuff that inspires me, the idea that you challenge yourself and succeed,” he added. To learn more about Dry July or to get involved check out www.DryJuly.com. Why not make that goal a reality? Check out Open Colleges’ 150+ courses and take the first step towards a bright new future. Oh my goodness! If people don’t think they can go without alcohol, only for a month, to support this worthy cause, I think we have a serious community problem! Alcohol can actually *cause* some types of cancer! Recovering alcoholics have to give up alcohol, “one day at a time,” indefinitely! Just wondering would you support a caffeine free month, for cancer benefit? Chemo she’s 84 and is having treatment and has been treated with so much respect and they looked after her and also plenty of tea coffee food and the staff at her hospital are also amazing . Wonderful idea, as a cancer patient during chemo I was well cared for but my dear husband who is supporting me has to sit for hours beside me on a very uncomfortable chair. It would be lovely to see him and other carers comfortable during this very stressful time. Thankyou to those taking part in the challenge.